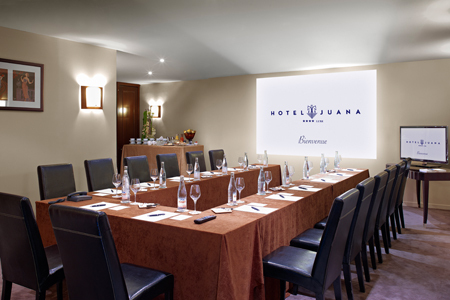 In the heart of Juan-les-Pins Cap d’Antibes, the Juana Hotel makes at your disposal you 3 private rooms for your meetings and business events. Our conference rooms offer 3 welcoming rooms, including 2 at daylight and 1 in pool-house. A floor can be customizable according to your needs. Our private rooms are all different and favourable to an optimal work atmosphere. Regarding the decoration, for galvanise the lights areas, the tones are beige, grey, off-white and red, with panelling, keeping the chic and contemporary character of the Juana. The meeting rooms are away from the traffic, warm and secure to fill the serenity of the event planners and own the vitality of those who come for work. 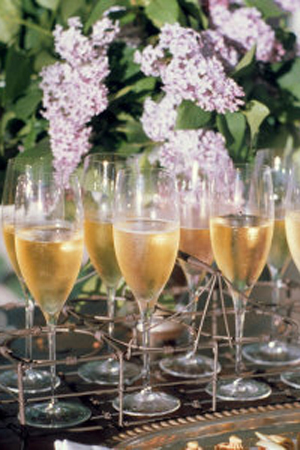 Technical department and event coordinator at your disposal for a perfect progress of the event. Welcome with displays or pictures on request. 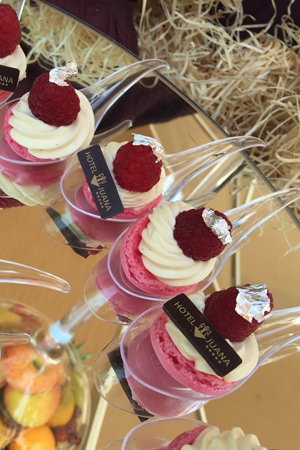 Coffee-breaks served in room, terrace, bar corner or private room. Le Salon Pinède, with a surface of 60 m², suggest you a cosy and chic private room for meetings and can be turned into a sub commission room. Equipped with free WiFi access and all the professional equipment required, this private room can host up to 40 people in theatre. Permanent coffee-break on request. Beige walls, mauve chairs, courtyard view, private balcony with smoker corner nearby. 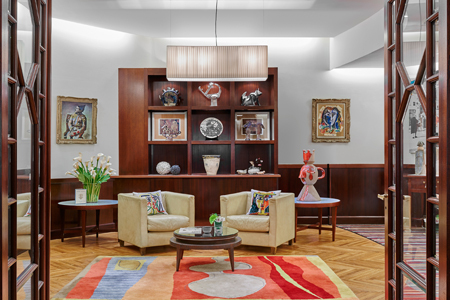 Located in the heart of Juana Hotel, Le Grand Salon own a surface of 60 m², partly dedicated to the Art Deco and modernism. This room is the most spacious and can host up to 40 people in theatre. A free WiFi access and professional equipments are made at your disposal. Business corner. Off-white walls and paneling, mauve or brown chairs, picture rails, direct access to the lobby, petit salon, bar and restaurant. Le Salon Piscine, with a surface of 33 m², offer you an immersion in its little private room ideally oriented towards the sun thanks to the large bay window of the pool-house. With a capacity of 22 people in theatre, this private room is the ideal place for small-group meetings. Pool-house access, flowered terrace. Off-white walls, light furniture, pool-view, in front of the Juan-les-pins Pinède. A perfect place for each service followed by a cocktail at the water’s edge. The hotel benefits a real expertise in sport events (bicycles, motorbikes and sport cars) and the public green spaces surrounding the hotel, can be privatized. 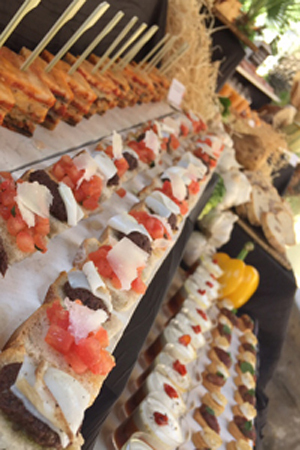 Its partnership with the Belles Rives Hotel, which has facilities and spaces directly on the sea is particularly tipped to succeed with success of such events. 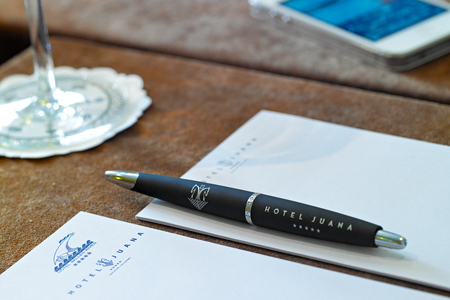 During all the year, the Juana Hotel favors all year expertise, the flexibility of its teams and the quality of its service. The Belles Rives Hotel, second 5-star hotel of the group located at 250 m from the Juana Hotel, complete the seaside “resort” concept with two restaurants, La Plage Belles Rives and La Passagère (1* Michelin) to accommodate all kinds of prestigious events: meetings and seminars, business lunches, gala receptions, cocktail dinners, wine tastings, shooting reports … Whatever you wish, realize it ! 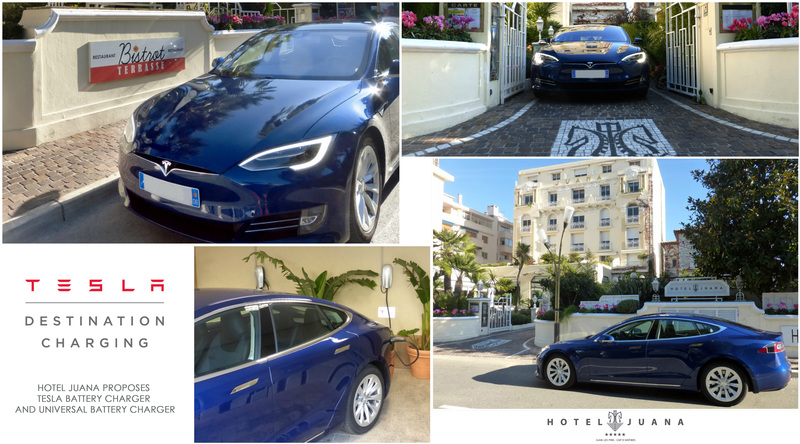 Located at 2-minutes-walk from the Palais des Congrès and beaches, the Juana Hotel enjoys a privileged location to all delegates who would like to stay at Juan-les-pins. 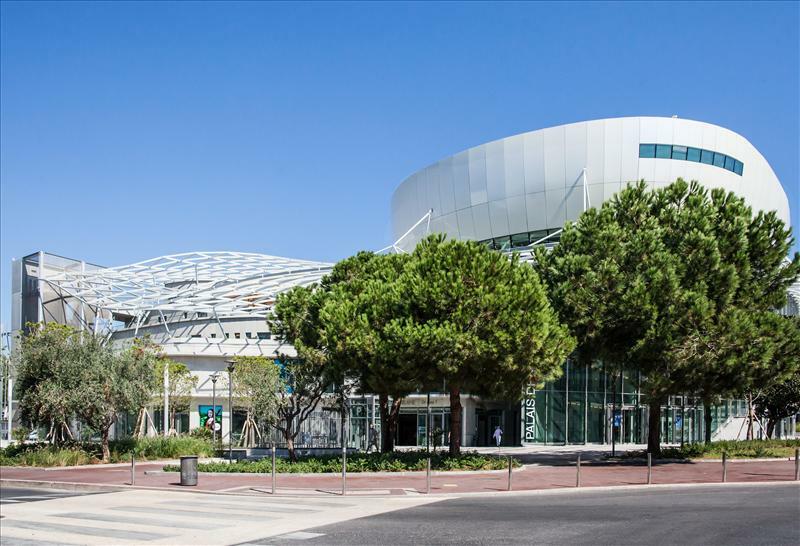 A short way links the hotel to the Palais des Congrès Antibes.